The demand for exorcists “has risen exponentially” in Ireland thanks to a surge in demonic activity, according to exorcist Father Patrick Collins, who has called on the nation’s bishops to train more priests to fight the devil. A Mexican priest who has performed more than 6,000 exorcisms in his 40-year career says that he does not fear the devil, because the devil is afraid of him. 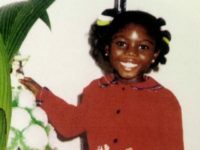 Hundreds of children in Britain are being starved and beaten every year to punish them for being witches or to cleanse them of evil spirits. 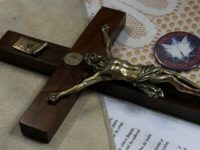 The number of exorcisms have been rising sharply in Italy, with some 500,000 Italians requesting an exorcism each year and not nearly enough exorcists to meet the rising demand, according to recent reports. 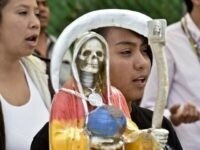 The incidence of exorcisms and Satanic deliverance rites in Mexico has risen sharply in recent months, reportedly driven by the growth of the cult to Santa Muerte, a personification of death. Father Gabriele Amorth, the founder the International Association of Exorcists who served as exorcist for the diocese of Rome for 30 years, died Friday at the age of 91. In an interview Monday for the Spanish daily El Mundo, Father Juan José Gallego, the exorcist for the archdiocese of Barcelona, Spain, said that casting out demons is “a very unpleasant job” and that at first he was “really scared” because of his close contact with Satan.